SOLDIERFIT co-founders Danny Farrar (left) and Dave Posin consider character building their top priority, combining basic military training techniques with functional fitness training to teach members the importance of hard work and perseverance. 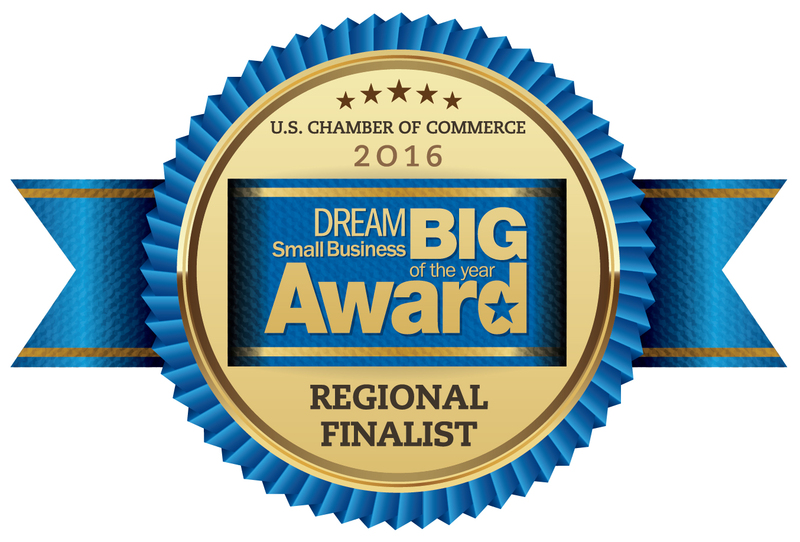 Editor's note: The DREAM BIG award, sponsored by Sam’s Club®, celebrates the success of small businesses and honors their contributions to America's economic growth. The Small Business of the Year, seven regional finalists, and 100 Blue Ribbon winners will be honored on June 14 during America's Small Business Summit in Washington, D.C.
SOLDIERFIT is a military-inspired fitness company that aims to change lives and revitalize the American Dream through health and physical fitness. Military veteran Danny Farrar and entrepreneur Dave Posin have very different backgrounds. But the two fitness enthusiasts are bound by a common goal: helping people better themselves. The two men crossed paths many times before SOLIDIERFIT became a reality. They first connected in 2004 working as membership representatives at a gym. But soon Danny fell on hard times. He decided to rejoin the Army Reserves and was deployed to Iraq. After returning from overseas, Danny hit rock bottom and even attempted suicide. He started doing martial arts as a way to deal with his struggles— and the positive change created hope for a bright future. Danny then reconnected with Dave, and the duo talked about starting a fitness business. Still, it was a struggle. They had almost no capital. They taught classes outdoors. They didn’t have a facility. Dave even had to leave the project for a while due to a conflict of interest with his other job at a gym. That happened in 2007—and the business took off. A military values-based organization, SOLDIERFIT considers character building its top priority, combining basic military training techniques with functional fitness training to teach members the importance of hard work, perseverance, and goal achievement. Today, the business has 50 employees and 3,000 members, offering 444 classes per month across four corporate locations. How does SOLDIERFIT’s community involvement extend beyond its walls? SOLDIERFIT is involved with both military and nonmilitary charities. Danny is the president of Platoon 22, a nonprofit that supports veterans and gets its name from the estimated 22 veterans who commit suicide each day. SOLDIERFIT has also benefited the American Red Cross, Big Brothers Big Sisters, and the Special Olympics Polar Bear Plunge. Danny and Dave both sit on community boards and even awarded a franchise to a veteran through SOLDIERFIT’s first “Mission: Fit to Own” contest. At Thanksgiving, they hold a turkey drive. SOLDIERFT plans to add 40 franchise units and 10 to 12 corporate locations in the next five years. The company’s most immediate franchise expansion plans are looking at locations up and down the East Coast. SOLDIERFIT wants to grow from 50 employees to more than 600 in the next five years.